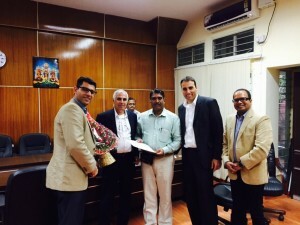 TAHAL Group signed an agreement with the Government of Karnataka State in India, for the design, construction and operation of a water supply system for 131 villages in the state. Payments to TAHAL for executing the project will total about US$ 74 million. The turnkey project will be carried out in two stages – a 30-month design & construction stage, which will include design and construction of a water intake system, a 600-km transmission pipeline network, a treatment plant and eight reservoirs, followed by a 60-month operations & maintenance stage. A much higher percentage of the total payment will be paid for the first stage. The project will be financed in equal parts by the Central Government of India and the Government of Karnataka State. The project will commence immediately upon receipt of the 5% advance payment, which is expected to be paid by the end of July. This is TAHAL's first turnkey construction project in India, and is considered to be the company's first significant contract in India's water infrastructure market. 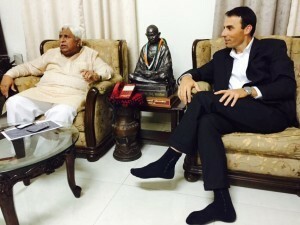 The potential of the Indian market in this sector is enormous, based on the fact that the Government of India, under the leadership of Prime Minister Narendra Modi, has given top priority to the development of water & wastewater infrastructure and the supply of clean water to the entire population. 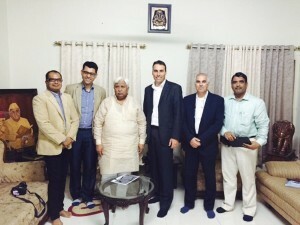 Saar Bracha, CEO of TAHAL Group, who signed the agreement in the Office of the Minister of Water Resources in Karnataka State, said: "The project in Karnataka State is an additional significant step in the realization of TAHAL's strategy in India. This is a flagship project of the Government, and is part of a broader program to improve the water supply system for the people of India. 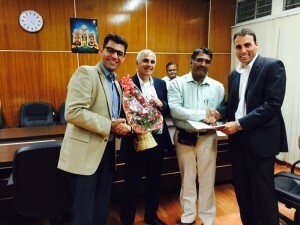 The Indian water sector has tremendous confidence in TAHAL's ability to integrate unique design into projects and provide a comprehensive solution for the water shortage problems that are on the rise in the country, and I definitely foresee continued growth in the Group's operations in India."